If my adversaries knew the kind of things that I have been through in my life, the kind of challenges that I have faced, the kind of battles that I have fought, the kind of trials and tribulations that I have been subjected to, the kind of betrayals that I have experienced, the kind of pain that I have suffered and the kind of beasts and demons that I have fought they would think twice about coming against me. As unworthy as I am, I am what I am. As unlikely as I am, I am who I am. As unprepared as I am, I am as I am. As unfit as I am, I am how I am. I am David, Oluwafemi, “the beloved of the Lord”: I fear no evil that man can do to me. I am Abdul Latif, “the Servant of the Merciful God”: I fear no devil, no demon, no mortal, no liar, no beast and no tyrant. If only they knew my testimony they would understand why this is so. I died many years ago but the Lord raised me up. He restored me and anointed me to honour Him and to serve my nation. The story has only just started. The journey has just begun. The book has just been open. I live for Him alone. I thrive at His pleasure and I flourish for His leisure. He guides my steps and makes every crooked path straight before me. He makes a way for me where there seems to be no way. I belong to Him and to none other. I am His battle axe in times of war. I am His tool of judgement in the season of conflict, vengeance and retribution. I am His vessel for perfection: He displays His glory and power in and through me. I am His messenger of joy and peace and through my words and actions He brings inspiration, encouragement, hope, solace, strength and comfort to the afflicted in spirit, the blind, the weak, the captive, the wounded, the broken, the poor, the hopeless, the persecuted, the sick, the wrongly accused and the oppressed. Like David the slayer of Goliath and the greatest King of Israel, I am imperfect and flawed in so many ways yet He loves me all the same because He sees my heart. I ask myself, why me? Why should I be the object of such love, grace, favour and mercy? Why should I be the suppository of a such a great gift and such a wonderful privilege? He answers by saying it is because He knew me before I was formed in my mothers womb. He tells me that it is because He proves His word and He uses the foolish things of this world to confound the wisdom of the wise. So many wrote me off in the past and yet they came back and bowed before me because of God’s resurrection power. So many tried to hurt and destroy me for no just cause and yet they came back to confess their sins and evil deeds against me because of God’s intervention and His divine vindication. So many spoke ill of me and bore false witness against me over the years and yet they were forced to eat their words. So many broke my heart and left me to die yet the Lord healed me and replaced them and He gave me joy in abundance. Of the nine that tried to jail me for seven long years with malicious and false allegations and baseless criminal charges, some lost their lives, some lost their liberty, some lost their health, some lost their children, some lost their dreams and aspirations and some lost their profession, reputations, fortunes, careers and minds. I was amazed as these things unfolded because it was not by the hand of any man but by the finger of God. They all fell one after the other and they are still falling up until today. Yet despite numerous challenges I am still standing, going from strength to strength and waxing stronger and stronger in the battle of life. They say destiny speaks at the end. My destiny will speak for me. It will be manifest at the end and that is all I wait for. That is what I was born for: to achieve God’s purpose and for that purpose to be made manifest and to be established in my life. Till then let the mockers mock. Let the skeptics be skeptical. Let the traitors betray. Let the schemers scheme. Let the liars lie. Let the conspirators conspire. Let the demons rage. Let the dullards be dull. Let the heathens plot. Let the vultures gather. Let the pagans plan. Let the powers that be threaten and let them do their very worst. For God has spoken through His holy word that “when the enemy comes in like a flood, the Spirit of the Lord will raise a standard against him”. The Lord is with me and mine and He has raised his standard against our enemies. I make my boast in Him and none other. I am nothing without Him. Yet I am all things and everything through Him and with Him. This is because God always pulls me through, and in the end I always win. The Lord gives kings as ransom for my sake and he pulls down evil rulers and governments for the sake of his anointed. When you fight against me, you fight against all the elemental forces: the wind, the fire, the water and the earth. When you come against me, you come against all the forces of the universe and the cosmos: the stars, the moon, the sun, the galaxy and all of creation because the Creator Himself sent me and I am His servant. When you come against me, you come against the awesome power of the Most High God and the fury of the Hosts of Heaven. When you fight against me you fight against the consuming fire of the Holy Spirit and the crushing power of the Most High God. When you seek to destroy me, you cannot win because I am hidden in the arms of the Resurrected Lord. When you seek to trouble me you cannot survive it because you seek to trouble our Lord and Saviour, Jesus Christ of Nazareth, the Second Person of the Holy Trinity and the Son of the Living God. The Lord has given me victory and power in all things and all those that hate me shall bow before me or perish. Like the Viking Warrior-King the great Beowulf, I cannot be brought down, defeated or destroyed by any force on earth or from hell: not because I am anything or anyone special but because I am in the Lord and the Lord is in me. Not because I am well-educated and well-bred but because, like the David the son of Jesse, He is my strength, my shield, my glory and the lifter of my head. I cannot be cut short or defeated and I cannot die before my time. I cannot and will not leave the earthly plain and realm until my work on earth is done because I have a covenant with the Ancient of Days and because I have a promise from the El Shaddai. I am a son of He that is high and lifted up and whose train fills the temple. I am a son of the Man of War, the Prince of Peace, the Lord God of Hosts, the Comforter, the Alpha and the Omega, the Great Physician, the God of All Flesh and the I Am, That I Am. My father created the universe and all that is in it. I will never bow before the heathen and I will never tremble before the rulers of this world, their pagan gods or their earthly powers. 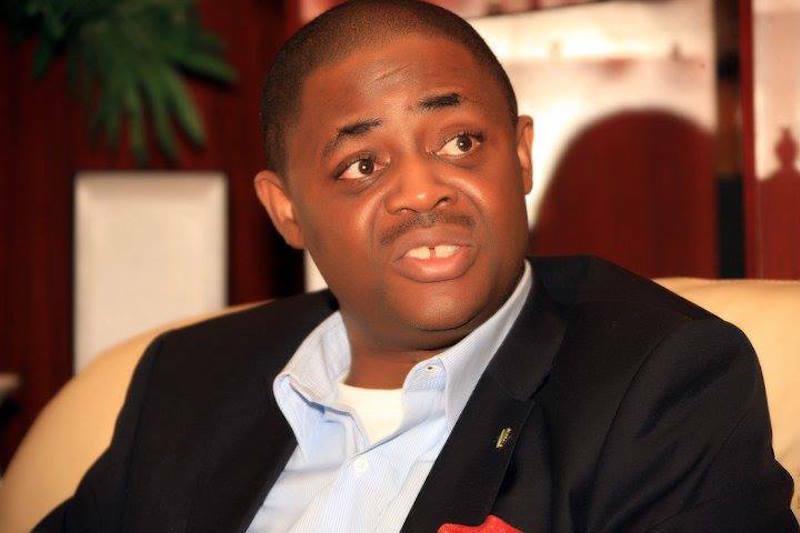 I am FFK, the Servant of Truth, the Adorer of the the Living God. He is more real to me and more important to me than anything that I can see with my physical eyes. He is my everything. God made me hard and tough for a purpose. God made me courageous and true for a purpose. God made me have a burning passion for my people and my nation for a purpose. God made me hate injustice, wickedness, the uncircumcised Philistine, the pagan and those that shed innocent blood for a purpose. God made me hate bullies, tyrants, evil rulers and all wicked and heartless men in power for a purpose. Like the great Achilles, King of the Myrmidons, champion of the Greeks and conqueror of Troy, God gave me the spirit of the warrior and the lion for a purpose. Like Jehu the son of Nimshi, Joshua the son of Nun and Gideon the son of Joash, God gave me vision, passion, knowledge, wisdom, understanding, courage and strength for a purpose. God made me who and what I am, with all my flaws, weaknesses, shortcomings, anger and rage for a purpose. God gave me a longing, a burden and a passion for Him, His love, His counsel, His guidance and His word for a purpose. God made me hate Satan, the Lord of the Flies and the Accuser of the Brethren for a purpose. God made me hate Lucifer, the Son of the Dawn and his servants, agents, idols, cults and works for a purpose. That purpose will soon be made manifest in the affairs of our country. Nothing can stop it and nothing can thwart it. As long as Jesus sits on the throne and the heavens rule in the affairs of men, I shall achieve my purpose and fulfill my destiny. I shall be what the Lord created me to be. I shall do what the Lord has sent me to do. I shall bring glory and honour to His name and all men will know that Jehova El Elyon, the God of the Armies of Israel, the Elohim, the Adonai, that He alone is God.